FOR RENT! Lawn, Pest and Washer/Dryer included with monthly rent! 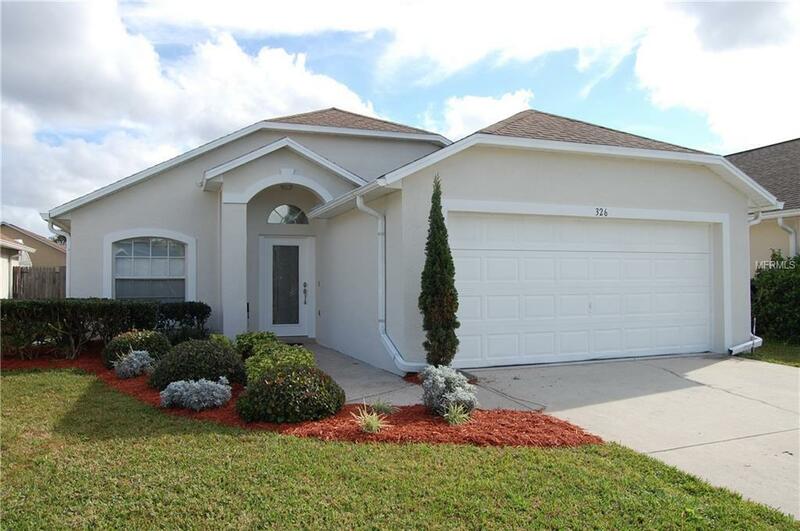 Single story, 3/2 with attached 2 car garage located in Tuscany Pointe. Open and bright floor plan with over 1350 SF of living space, cathedral ceilings throughout the house add to the sense of space. Split floor plan for added privacy. Spacious kitchen/great room with additional bonus room attached. Master suite features a large walk-in closet. Exterior features include covered front entry, large covered screen lania and fenced back yard. Attached 2 car garage with automatic door lift, laundry located in garage. New HVAC system installed in Feb 2016 is more efficient and will help you save on utilities! Convenient location with quick access to SR 408, dining, shopping, hospital and more. VCC, Full Sail and UCF also just a short drive away. Pet friendly! Don't miss out on this great rental home. Schedule a showing today! Pet Restrictions Pets Considered By The Landlord On A Case By Case Basis. Domestic Pets Only.